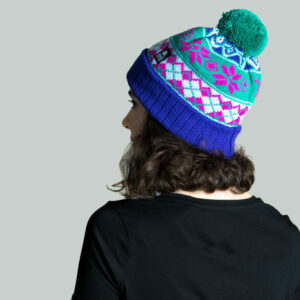 We’ve combined bright purple with jade, sky blue and fuchsia pink in this argyle design. 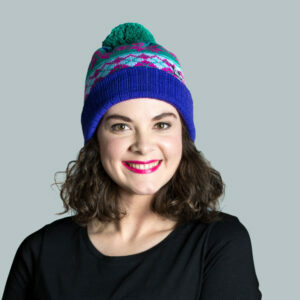 The bold jade pompom gives it a nice colour pop at the top! 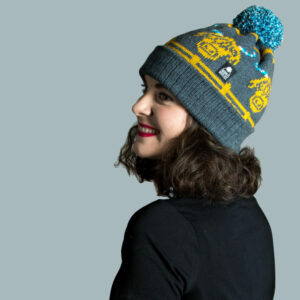 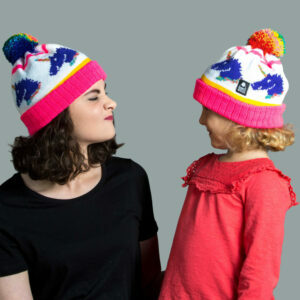 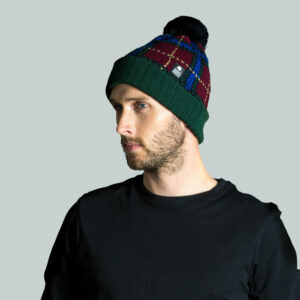 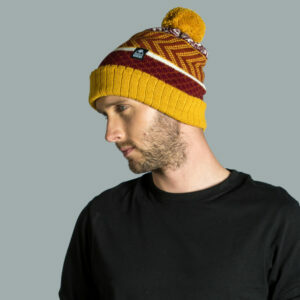 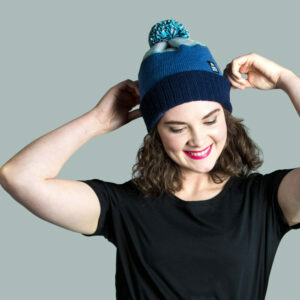 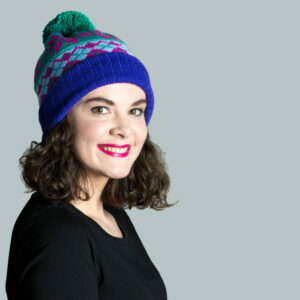 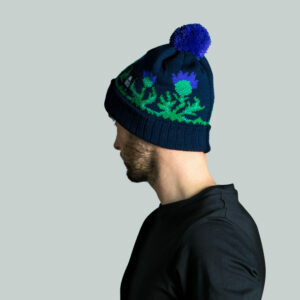 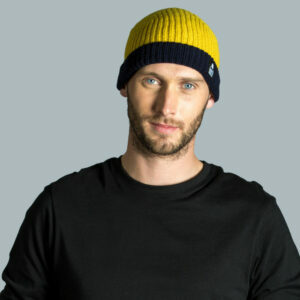 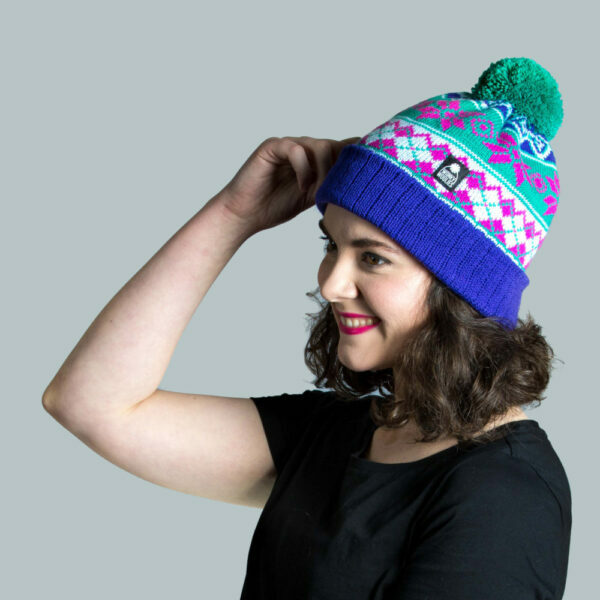 We knit with a double layer of yarn to make warm and durable bobble hats. 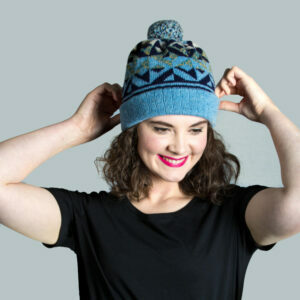 You can wear this hat rolled up to fit snug or long and slouchy.